Home > Local information	> Surbiton Hospital August start. 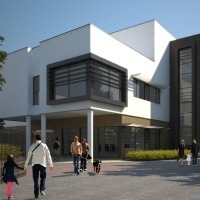 PLANS for a new health care centre and primary school on the Surbiton Hospital site are moving forward, as it is announced that building work is expected to start in August. Under the plans, which have been put together by the NHS and the council, the Ewell Road site will be demolished to make way for a healthcare centre providing a base for up to eight existing GP practices as well as outpatient care, community services and a pharmacy. The Big Lunch 2011. The Big Lunch – this Sunday – see you there.